Object is a printing terminal. It has a full keyboard, an impact printer, and an acoustic coupler built into the back side. Supply of green-bar paper found inside, bagged. 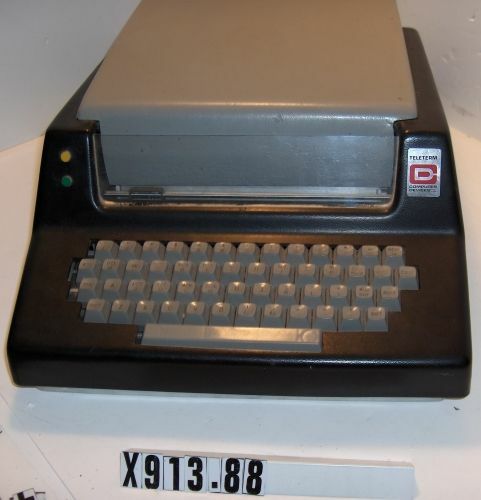 This terminal model was the only impact computer ever manufactured by CDI. Though with out a serial number, this is not a prototype as several were sold.